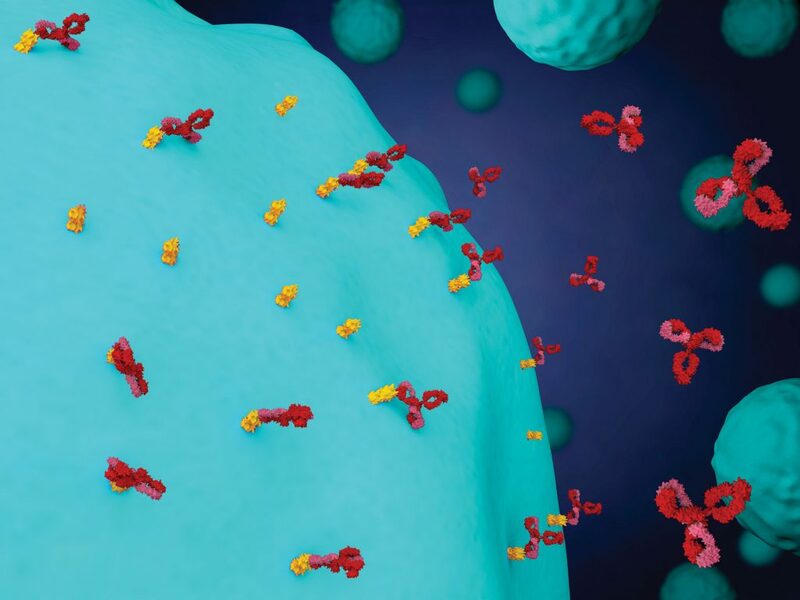 Antigenic forms of high interest often keep a low profile, frustrating investigators who would like to identify and characterize epitopes, the parts of antigens that are recognized by antibodies. Epitopes can hide in discontinuous amino acid sequences, lurk behind strategically placed protein folds, or simply seek safety in numbers. To get around these evasion strategies, investigators may take advantage of sophisticated technologies, including protein engineering, imaging analyses, and molecular modeling. 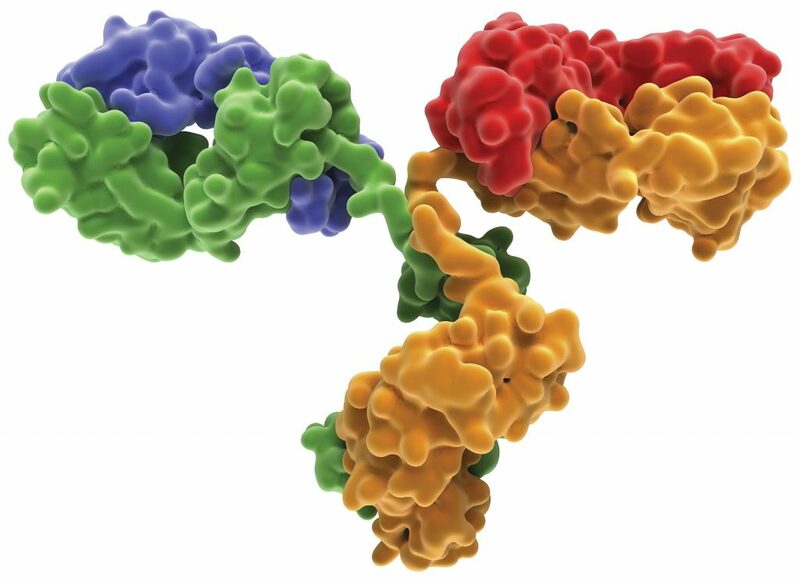 Using these technologies to identify the molecular and structural determinants of antibody–antigen interactions can help investigators advance rational drug and vaccine design. Newly available technologies, it should be emphasized, are improving epitope mapping in both spatial and temporal dimensions. That is, they help investigators characterize a dynamic antibody–antigen landscape. Just as satellite imaging of a war zone can reveal shifting patterns of activity, epitope mapping can show the sequence changes that unfold as disease progresses. In either case, when evolving threats are tracked, it is easier to design and deploy powerful countermeasures. “In vaccine design, one of the newest ideas is to ‘epitope focus’ the immune response,” says Jonathan R. Lai, PhD, professor of biochemistry, Albert Einstein College of Medicine. There are several ways to accomplish that, and the approach used in Lai’s lab, known as protein resurfacing, involves protein engineering to change solvent-exposed regions. A major effort in Lai’s lab is pursuing novel dengue vaccination strategies. There are four naturally occurring dengue virus serotypes. While the initial infection is usually a self-limited febrile illness, secondary infection with a dengue virus of a different serotype leads to severe and life-threatening manifestations, including hemorrhagic fever and shock. This is thought to occur when pre-existing antibodies enhance the infection with a heterologous serotype rather than protect against it. Developing broad and potent antibody responses is a critical component of novel vaccination strategies. To address this need, Lai and colleagues have sought ways to develop vaccines that provide broad protection against all four co-circulating serotypes. Previously, Lai and colleagues characterized the recognition between domain III of the envelope glycoprotein, an attractive viral immunogen, and 4E11, one of the broadly neutralizing antibodies. “We structurally engineered domain III from dengue virus 2 so that we could ‘immune mask’ portions of the domain,” indicates Lai. This approach prevented antibody responses to the portions the investigators wanted to overlook, but it maintained the portions the investigators wanted to target. Using mutagenesis selection, Lai and colleagues generated domain III variants in which the main epitope to protect was maintained but other epitopes were removed. The construct led to a cross-neutralizing response for dengue virus serotypes 1, 2, and 3, something that has not been achieved before with single-domain constructs. “We are trying to develop approaches to improve the strength of the immune response and to extend the coverage to serotype 4,” says Lai. In a recent study, Whitehead and colleagues used a combination of yeast surface display, saturation mutagenesis, fluorescence-activated cell sorting, and deep sequencing to identify pro-region mutations that enhanced the folding of nerve growth factor, a protein that plays a central role in multiple chronic pain conditions. From over 1700 point mutants generated in an analysis of canine nerve growth factor, Whitehead and colleagues identified several candidates that showed a markedly improved folding. This approach demonstrated the possibility to understand the contribution of individual amino acids to antibody recognition and neutralization. In another research effort, Whitehead and colleagues sought to better understand the individual antibodies elicited by the acellular pertussis (whooping cough) vaccine. The antibody titers decline somewhat faster for this vaccine than for many other vaccines or infectious diseases. Whitehead and colleagues isolated antibody sequences from individual plasmablasts, and the investigators identified, for the first time, human antibodies stimulated by the vaccine. Using a combination of mutagenesis and yeast display, the investigators generated a detailed map of the epitopes that are recognized by two of these antibodies. This epitope mapping strategy enabled the investigators to devise a structural explanation for the inability of one of the antibodies to neutralize the pertussis holotoxin. “Our hypothesis is that high-resolution epitope mapping of the immune response against specific relevant proteins will identify particular immune phenotypes and help us better understand, diagnose, and eventually treat certain conditions,” says Armin Alaedini, PhD, professor of medicine, Institute of Human Nutrition, Columbia University Medical Center. A major effort in Alaedini’s lab is using translational research to dissect disease mechanisms and identify biomarkers. “We are interested in disorders that are generally understudied and for which no established biomarkers exist,” says Alaedini. Conditions that Alaedini’s laboratory are currently focused on include autism spectrum disorder, irritable bowel syndrome, chronic fatigue syndrome, and post-treatment Lyme disease syndrome (PTLDS). The lack of biomarkers for these conditions makes it challenging to diagnose patients or recruit individuals into clinical studies. “This is why recruitment for these conditions is generally based only on clinical symptoms, resulting in highly heterogeneous cohorts,” explains Alaedini. One of the promises of immune profiling is that it can reveal immunologic phenotypes and biomarkers that would identify disease subsets with shared etiology and pathogenic mechanism. In addition, clinical treatment trials targeted at the identified disease subsets would have a greater chance of demonstrating efficacy, Alaedini points out. In Lyme disease, after the early stage of the infection that is usually associated with skin lesions, the bacteria disseminate through blood and often cause additional manifestations, including early neurologic Lyme disease, such as neuropathy or facial palsy, sometimes followed months or even years later by more severe joint or late neurologic manifestations. “At each of these stages of Lyme disease,” Alaedini emphasizes, “the immune response is different.” More antibodies are produced as the infection progresses, and they have increasingly higher affinities for their target antigens. What has not been undertaken, Alaedini adds, is a systematic attempt to understand how the various innate and adaptive immune responses evolve during these stages. One of the working hypotheses in Alaedini’s lab is that different antibody responses develop at different stages of the disease. To explore this hypothesis, the lab characterized the humoral immune response in patients who were in various stages of Lyme disease. The lab then consolidated its findings to trace the evolution of the humoral immune response. Knowledge of Lyme disease stages could help clinicians manage treatment. Most patients with Lyme disease respond well to antibiotics. However, some individuals develop persistent symptoms despite antibiotic treatment, even though an ongoing infection is no longer believed to be present. Alaedini’s lab is trying to dissect and understand the causes of the immune dysfunction that appears to be involved and to identify biomarkers of PTLDS with the extensive use of epitope mapping. This strategy would involve predicting the most significant epitopes of a protein. “We could then focus only on the protein regions of interest as potential epitopes without having to analyze the entire protein,” concludes Alaedini. 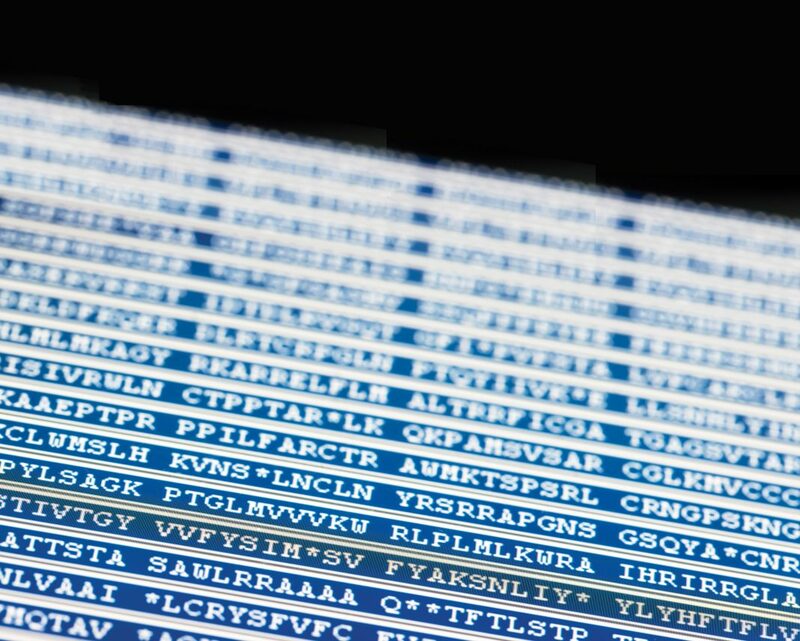 Epitope mapping has traditionally relied on introducing mutations and performing binding studies. However, many assays are indirect and nonspecific, or they may involve the surface immobilization of antigens, leading to an incomplete understanding of the humoral immune response. Ward and colleagues are using an electron microscopy–based epitope mapping strategy to follow the evolution of neutralizing antibody development. In a study that applied this strategy to the immunization of rabbits with an HIV-1 envelope glycoprotein candidate, Ward and colleagues uncovered previously unidentified epitopes and revealed how antibody responses evolve. Essentially, the investigators generating a semiquantitative map of epitopes that are targeted in a polyclonal antibody response. “This approach is performed in solution,” Ward notes. “Therefore, it is not subject to some artifacts that occur with immobilization.” It promises to capture the dynamics of the antibody development in real time, and to do so with unprecedented resolution. This approach, Ward hopes, will not only facilitate iterative vaccine design, but also enable the identification of signatures from infections, revealing the diversity of responses in humans to a vaccine.